For today's review, I will be reviewing the White Formula Super Moist Light Toner. White Formula, highly acclaimed for its Moisturizing Hyaluronic Acid range, is another hit from Taiwan’s President Pharmaceutical Corp, the company that brought us the highly acclaimed facial masks, My Beauty Diary. It has garnered rave reviews all over Taiwan and even from celebrity beauty experts like Naruko, Kevin and Liu Yan on Taiwan’s Beauty Queen <<女人我最大>> TV show. The product range is developed with gentle ingredients containing no fragrance, no alcohol, no colorant and low irritation, making them suitable even for sensitive skin. Not only is White Formula affordable, the range is also created to allow consumers to enjoy quality products with peace of mind. 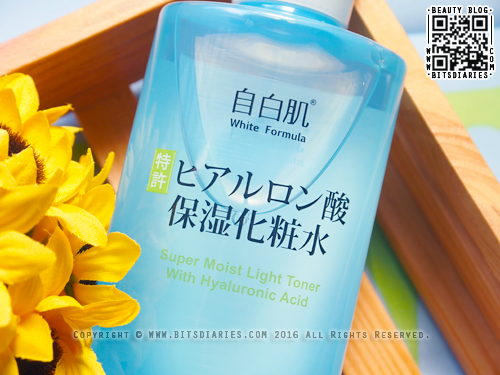 The White Formula Super Moist Light Toner is formulated with *THREE different sized of Hyaluronic Acid which penetrates into different skin layers and works synergistically to achieve optimum moisturization and skin firmness. Macro form of Hyaluronic Acid intensely hydrates skin surface forming a protective layer which locks in and prevents loss of moisture. Mircro form of Hyaluronic Acid permeates skin surface to form a water reservoir in skin epidermis leaving skin deeply hydrated from the inside out. Nano form of Hyaluronic Acid penetrates deeply and targets dry skin cells for complete hydration. It actively seeks collagen within skin epidermis to stimulate its regeneration enhancing skin elasticity. So you will get the radiant skin you desire. 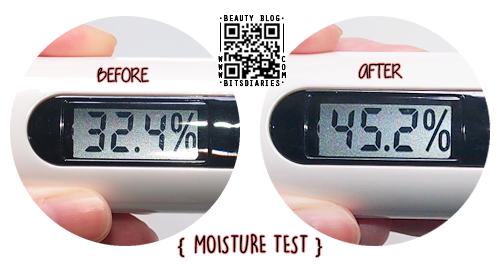 By the way, the White Formula Moisturizing series has two variants — Super Moist and Super Moist Light. I got the LIGHT one, which is specifically designed for oily and combination skin. It comes in a plastic bottle with a snap-on cap. 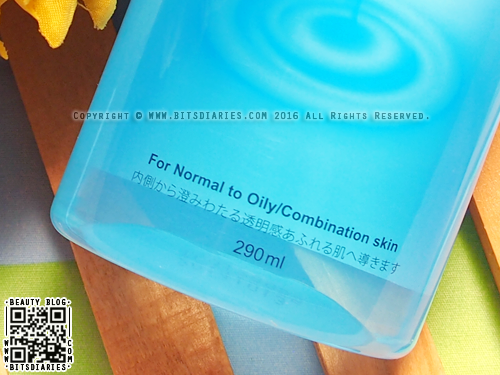 The toner has a clear, watery texture and is free of alcohol, artificial fragrance and colorant. 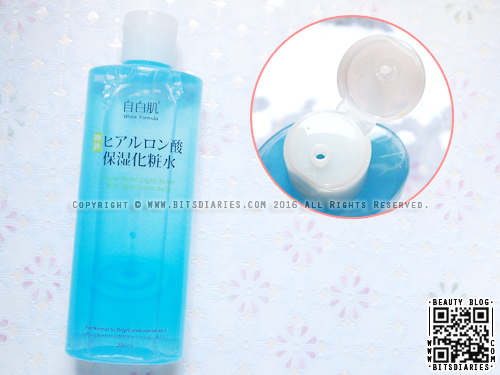 It is formulated with low irritant ingredients, so it is suitable for sensitive skin. Direction: After cleansing your face, apply a small amount to face and neck using firm and smooth circular motion from the central T-zone of the face towards the outer edges. My favorite way to apply it is to pat it directly onto my skin after cleansing. What I like about this toner is it's refreshingly lightweight texture that absorbs well into the skin without leaving a sticky or greasy after-feel. Great to use in hot and humid weather and a perfect option for oily, acne prone skin. What I also like about this toner is that it penetrates into the deeper layers of the skin to hydrate from the inside out, and not just sit on the upper layer of the skin. Does it really boosts moisture? 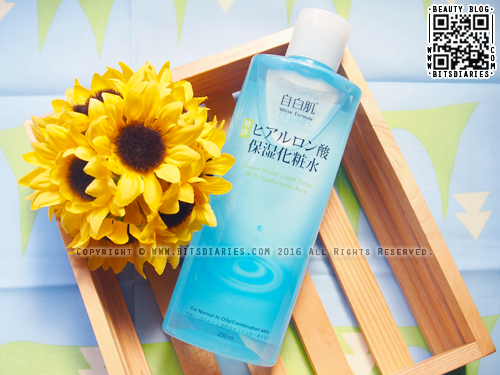 I will use this toner whenever my skin feels dehydrated. It helps to calm redness and heal dry flaky patches. After using this toner, I don't get flakies as much as I used to, and although it doesn't have any anti-acne ingredients, it doesn't cause my skin to breakout. Overall, it does a great job at keeping my skin hydrated and supple. In my opinion, this is one of the best hydrating toner for people with sensitive and oily, acne-prone skin.